Why you won't become rich by investing this in Akshaya Tritiya? Our mothers and grandmothers are fond of jewelry and it applies to almost all females. Grandmothers and mothers are old and they are not accustomed to the new ways of buying jewelry which is not really their fault because of obvious reasons. A new way to shop jewelry is to go online. 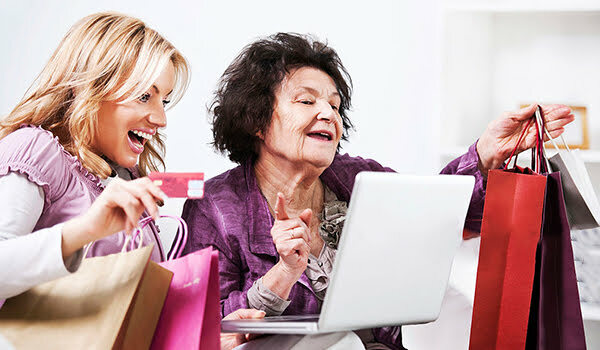 We are tech-savvy, and so we know about online shopping and the benefits that come with it. We can tell the same to our grandparents and that can do wonders for them. The first thing that you can do is tell your mother and grandmother about one of the greatest inventions i.e. the internet and tell your mother about the various online jewelry stores. With the rise of the internet, there has been a substantial rise in the number of online stores. This basically means that there are a number of shops on the internet which they can visit virtually. You can tell your mother and grandmother that they can browse different pieces of jewelry from the comfort of their home. They can buy diamonds as well as gold jewelry online. Every type of jewelry is available online. Tell them that they can compare the prices of different pieces of jewelry with minimum efforts and they don’t have to worry about the authenticity of the jewelry that they want to buy because all the online jewelry stores sell certified pieces. If they receive an uncertified piece, they can always file a return request. The return process is hassle-free. The store associate will deliver the jewelry to them and when they want to return the jewelry, the store associate will pick the piece from them. Grandmothers and mothers always want something more, some different variations. Tell them that they don’t have to worry about the variety as an online jewelry store offers a variety which is far more extensive than a physical store. Also, there are many online stores so they don’t have to worry about variety at least. Don’t forget to tell them that an online jewelry store is open 24 hours and seven days a week. They can shop any day online. 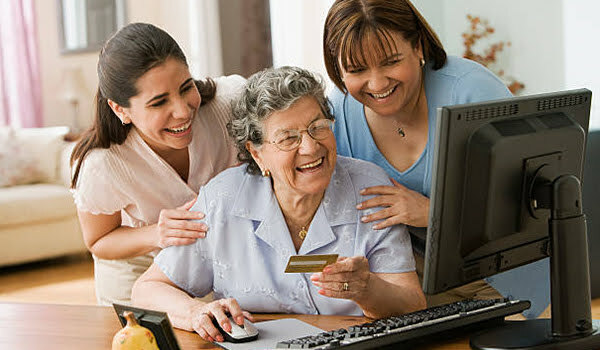 Your mother and grandmother will be happy to know that not only online stores offer variety, but they also offer significant discounts as well which they might not otherwise find on physical stores. Online jewelry stores update new jewelry designs every now and then are always aware of the new and trendy jewelry designs that come and they offer the same to the customers. Physical stores may receive a trendy piece of jewelry when it goes out of trend. Also, if they buy jewelry from a specific online jewelry outlet, they might just get qualified for an additional discount. So, in short, they will be eligible for double discounts, you can say. Plushvie has recently launched an AI-based jewellery advisor which will give personalized recommendation according to your personality. Copyright © 2016-2019, Plushvie, All Rights Reserved.